We're still a small bootstrapped startup at Snipcart; we can't afford idling in meetings or brainstorming sessions. We have to execute. The guys need to ship code, and I need to bring in traffic. Doing stuff—that's how we learn, improve and grow our business (and ourselves). Of course we read inspiring blog posts. Of course we discuss new ideas and strategies. Of course we study our metrics and adjust accordingly. We just keep it to a minimum. I'll do this first by showcasing the amazing work developers have done creating platform-specific Snipcart plugins. 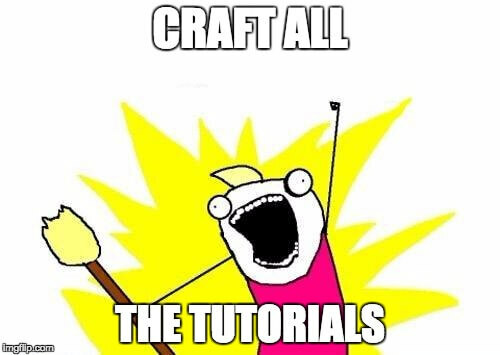 Then, I'll categorize and list all the technical tutorials we crafted in the last years. Finally, I'll let you know how you can get involved with our growing ecosystem. Now, as world-renowned figure Leeroy Jenkins once put: "All right, time's up, let's do this!" I can't even tell you how grateful the whole team is for the people who developed the Snipcart integrations in this section. Their time, passion, and effort stimulated Snipcart adoption across many dynamic CMS communities. Their belief in our product benefited both our business and different CMS users in need of flexible e-commerce. Now, here's the list of existing Snipcart plugins. Some free; some paid. But all cool. Developed by the folks at MuseThemes, this Snipcart widget allows designers to customize and position buy buttons across their Muse site. It also comes with a persistent cart summary button and in-editor product creation. A full tutorial video is available on the widget page, as well as detailed documentation. A neat, comprehensive e-commerce widget for Adobe Muse fans, with a great walkthrough video tutorial, from the inspiring geeks at Pure Presence Creative. This addon is the work of our friend Ryan from Mesuva Web Development. It allows users to fast-track e-commerce implementation on concrete5 sites with a well-crafted, comprehensive Snipcart addon. From advanced products options to cart customization, everything's in there! Video tutorial included. These two elegant templates for WordPress & Joomla were developed by the smart folks at RocketTheme. The Versla responsive templates are packed with e-commerce features powered by Snipcart, and run on the excellent Gantry 5 theme framework. 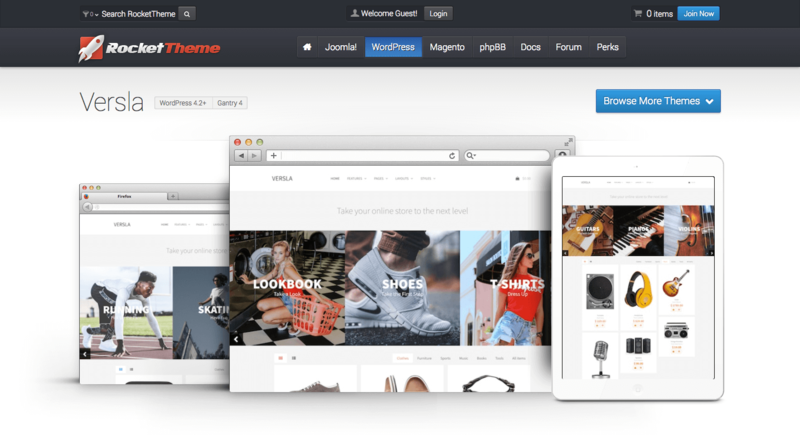 The folks at OFFLINE have built a comprehensive e-commerce plugin for the Laravel-based PHP CMS that is October. It includes a neat Snipcart backoffice admin to manage products and orders. You can see their demo site here. The talented guys at Grav have developed two awesome modules for Snipcart-powered e-commerce on their open source flat-file CMS: a whole shop skeleton (starter kit with sample pages, configuration & plugins) and a dedicated shopping cart plugin. Psst! Don't tell anyone, but we're currently talking with an experienced developer about building a full-on Snipcart plugin for the upcoming Craft 3. 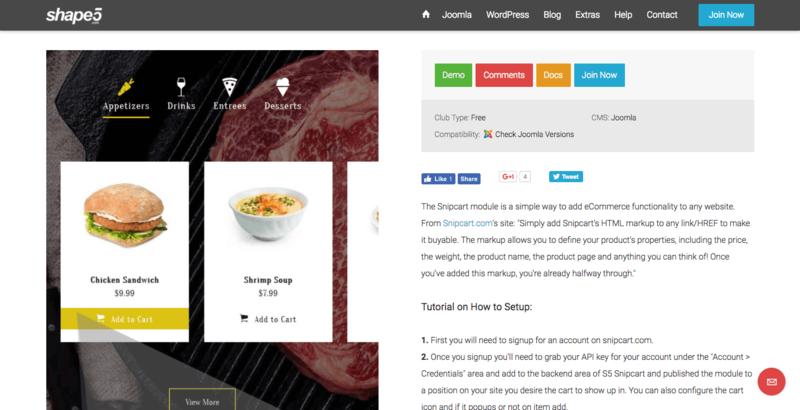 A solid, comprehensive Joomla plugin for Snipcart. Created by experienced third party developer CMExtension, it abstracts much of the technical parts a Snipcart integration usually requires. Another clean, lean Joomla module for Snipcart. Built by popular third party developer Shape 5, it fast-tracks some of the integration steps needed to run e-commerce with Snipcart. A cool addon for the flat-file, PHP CMS Pulse (lighter alternative to WordPress). Crafted by its founder and experienced developer, Michael Frankland. So, yeah, we crafted a LOT of tutorials in the last few years. Many of them were to answer questions/requests our users had. Others were just us playing around with cool techs. And yes, they're all here. NOTE: many of the following tutorials include live Snipcart demo sites & code snippets. All the code for these can be found in our various GitHub repos. Integrating Snipcart with Craft CMS: A Child's Play! A Tumblr Shopping Cart for Quick E-Commerce (< 2 Minutes)! Contributing: join the Snipcart community! There are literally tons of great site-building tools out there. Unfortunately, we don't have the time nor the skills (well maybe) to integrate with all of them. We'll keep crafting tutorials here and there. 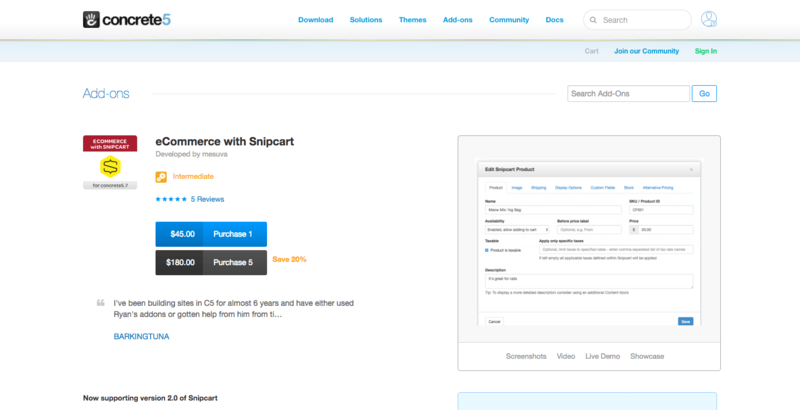 We'll keep supporting developers building dedicated Snipcart plugins. But if you want to help our ecosystem grow, well, let's just say you're more than welcome to do so. If you're interested in developing a plugin for Snipcart on [insert your favorite platform], please, reach out to us at geeks[at]snipcart[dot]com. We'll gladly help with support + promotion on our side, promise. A feature on our Community & Integrations page, potential case study or interview on the blog, social media posts, newsletter spotlight; you name it. Maybe a plugin's too much work for you. But maybe you'd still like to discuss a platform-specific integration or use case. In that case, you're welcome to share your experience on our blog, or yours. 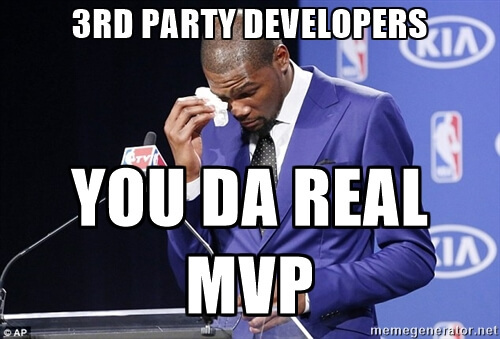 Our content guy (that's me) and our developers will gladly help with writing, formatting, and code reviews. Details regarding the type of content we're looking for and the kind of exposure we can give you are all in there. AGAIN: Thanks to EVERYONE who contributed to making Snipcart fall into the hands of thousands of developers and merchants, all over the world. We love you a whole freaking lot. Digging the Snipcart integrations roundup? Well, why don't you go ahead and give it a tweet? We'd appreciate that, really. Questions, suggestions, insults? Hit the comments!